This month’s WDI Global Impact speaker will provide a behind-the-scenes look at how the business, government, philanthropic and investing communities overcame years of mistrust and misaligned priorities to begin a shift toward collaborative investments. Tami Kesselman, an expert in impact investing who works at the intersection of corporate, government, entrepreneurial and investor communities globally, will present the talk, “Unlikely Allies: The Evolution of Multi-Sector Collaborations and the Sustainability Movement.” It will begin at 5 p.m. Jan. 29 in room R1220 at the Ross School of Business. The talk is co-sponsored by WDI and the Erb Institute for Global Sustainable Enterprise. It is free and open to the public. Kesselman, the founder of Aligned Investing Global, will discuss the current era of multi-sector solutions and whether it is here to stay. She also will talk about the power players behind this seismic shift from silos and mistrust to large-scale, multi-sector collaborative efforts in every region of the world. Kesselman will recount the development of the Millennium Development Goals, how they influenced the Sustainable Development Goals (SDGs) – a universal call to action by the United Nations to end poverty, protect the planet and ensure that all people enjoy peace and prosperity – and how businesses should respond. 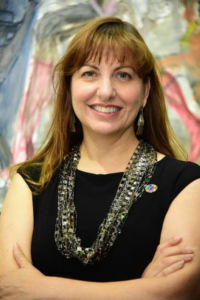 Kesselman earned her bachelor’s degree in Industrial Relations at the University of Michigan with a triple minor in business, economics, and communications. She then went on to earn her Master of Public Administration degree at Harvard Kennedy School, with a dual concentration in business and government. While on campus, Kesselman also will lead a workshop from 10 a.m. till noon on Jan. 30 titled, “Scaling: From Big Avoidable Disaster to Beginning Everything with Systems Thinking.” It will be held in Room 0320 at the Ross School of Business. The workshop, sponsored by the Erb Institute, is one of Kesselman’s most popular and is based on the proprietary heuristic diligence framework she developed, SMARTimpact, that takes participants through an entire semester course on diligencing impact in under three hours. Register for the event here.